Meeting for Worship on 26/03/2011. Photo: Jez Smith. For passers-by it was an unusual sight. A crowd of over a hundred people were standing on the pavement and spilled out onto the road outside 52 St Martins Lane, London WC2N. A police helicopter hovered overhead and not long after that, two police motorbikes cruised slowly down the street. The riders slowed by the gathering and glanced at the welcome signs with explanation of what a Quaker meeting is. Then they sped off, perhaps reporting onto their colleagues that it was the Quakers. This was the day of the march for the alternative, when around 500,000 people demonstrated their anger at the government’s proposed cuts. As the stillness began even the single dog, Barney, settled from his frenzied barking. Later there was short ministry, including a reading from Psalms. During the worship people continued to gather and it was a spontaneous outreach activity, introducing many pedestrians, cyclists and vehicle users to the Quakers. Some stopped and joined in with the worship. It was also a moment of ‘inreach’ as Quakers from around the Yearly Meeting gathered and beforehand had made new connections and friendships over refreshments inside the meeting house. Later, Friends marched arm-in-arm down the street to St Martin-in-the-fields and later joined the march, slipping in among the middle of the Unison union protestors and became a part of the greater body. 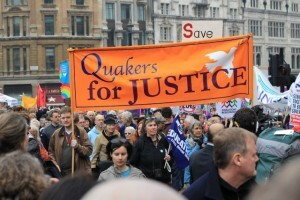 Quakers on the March. Photo: Jez Smith. At 2pm an ecumenical service was due to take place inside the Barclays bank on Tottenham Court Road, but the staff had notice of potential interruptions and the bank was closed all afternoon. Barclays has Quaker origins but is a far cry from that now. Oxford Street was like a normal Saturday afternoon, crammed full of shoppers. But with a difference. Policemen and women were huddled together around certain stores, particularly banks, but also shops and cafes that they thought would be targets. It is easy to tell which ones – those that are famous for not paying taxes, for making strategic decisions to reward their shareholders and not pay their contribution to the public purse. Outside of Boots protestors gathered and shouted about the company’s tax dodging. As some straggling anarchists came by a man accosted them, demanding that they ‘get a job’. ‘I trained for five years for my job’, came one reply, ‘and I work for the NHS’. But the first man was not listening. ‘Get a job’ he repeated over and over again. It wasn’t a day where constructive dialogue could succeed. Just off of Regent Street, a gaggle of police were stationed. Asked for directions to a nearby street one admitted that he had no idea where it was. He got out his photocopy of an A-Z map and still couldn’t find it. He apologised, saying that he and his team had been drafted in from Wembley (in north-west London) for the day. As the afternoon wore on the protests dashed here and there, culminating in a sit-in at Fortnum & Mason. The store most famous for loose tea and luxury hampers is owned by a company called Wittington Investments, majority owned by the Garfield Weston grant-making organisation. 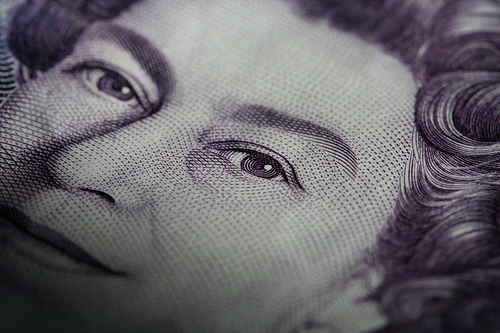 They have a majority stake in Associated British Foods and is the parent company of cheap clothing chain Primark. Around the back of Fortnum & Mason, police dressed in riot gear were protecting side entrances. But they were few, perhaps 10 or 15, and the protestors were many, perhaps two or three hundred. The police were caught short and surrounded. Most backed off, but for the few who were supporting the surveillance police. One of these in particular was overtly aggressive and caused a scuffle. But even he was eventually reigned in by his colleagues. Even as this small fracas took place, protestors in the main demonstration continued to march past, just forty or fifty yards away, oblivious to the intense stand off in this little side street. And so it went on, with these protestors moving onto another target, perhaps not even knowing what the target was. The main demonstration was petering out a little, though even as helpers were leaving Hyde Park, still protestors continued arriving. But what was the alternative that we sought? It wasn’t clear. 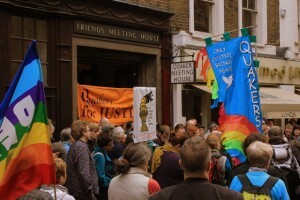 At least for Quakers, it is justice that we seek and this was a demonstration of how we can bring many people together. In the Gospel there is the story of the good Samaritan who finds a Jew who has been robbed, beaten and left for dead on the Jericho road. The Samaritan helps the Jew and finds him accommodation and help to heal his wounds. The Christian preacher Tony Campolo tells the story of how from this incident it would have been perfectly reasonable for a committee to be formed to work on making the road safer, clearing the bushes that thieves hide behind and adding street lighting. And perhaps if they found that the thieves and authorities were in cahoots this relationship could be exposed and the government be voted out. Or, at least, this is what we should do. 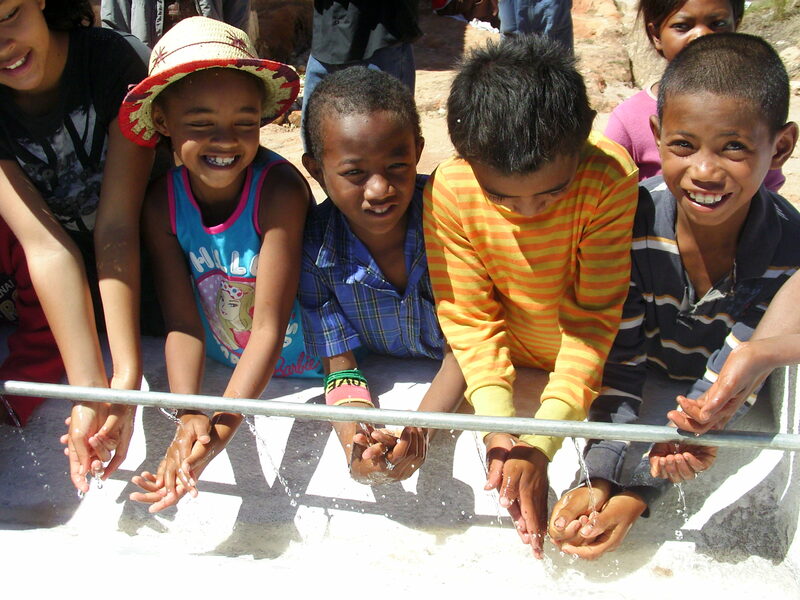 We can help those less fortunate than ourselves with single acts of kindness. But we also have the power and the opportunities to act for change. We have to hold our government to account over its actions. We must help those who need us to stand side by side with them. We have to strive for justice. For we are Quakers.